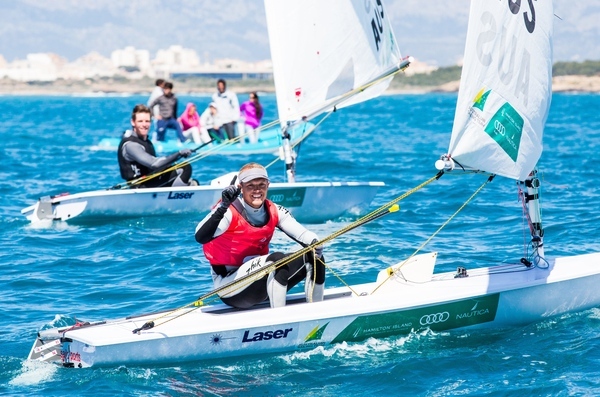 The medals across ten Olympic events were decided on the final day of racing at Trofeo Princesa Sofia - ISAF Sailing World Cup Mallorca. A light morning northerly breeze picked up as the day went on ensuring a full complement of Medal Races across the ten Olympic events were completed. 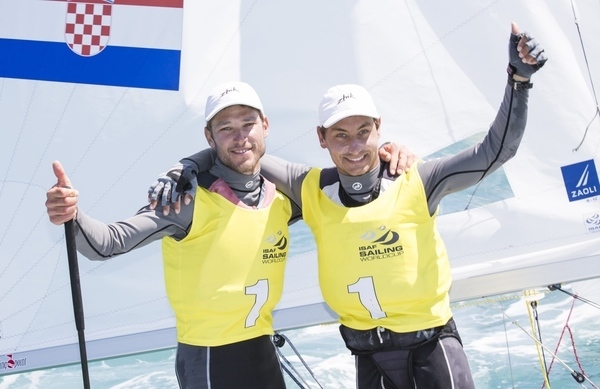 The Men’s 470 lead went to and fro all week but Sime Fantela and Igor Marenic (CRO) held their nerve to add a gold medal to their two silvers from the 2013-2014 ISAF Sailing World Cup series. 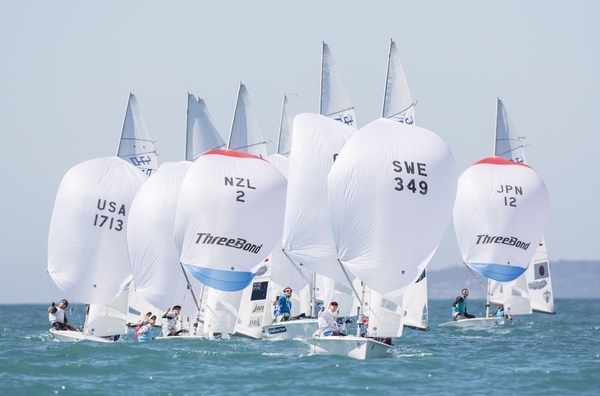 Fantela and Marenic played second fiddle to Lucas Calabrese and Juan de la Fuente (ARG) at ISAF Sailing World Cup Qingdao and to Mat Belcher and Will Ryan (AUS) at ISAF Sailing World Cup Melbourne. 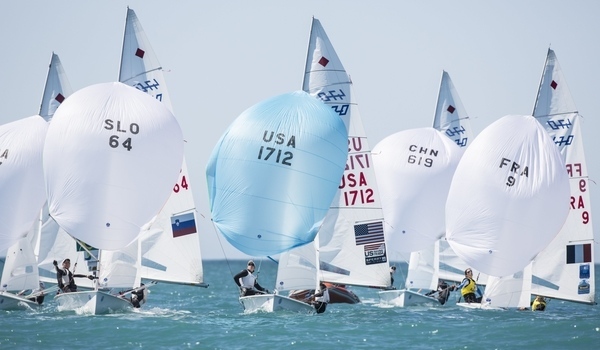 A disappointing fourth at ISAF Sailing World Cup Miami followed before they took their first gold of the series in Mallorca. An OCS for Lucas Calabrese and Juan de la Fuente saw the Argentineans drop out of the top three. Sweden’s Anton Dahlberg and Fredrik Bergstrom were the benefactors of the Argentineans demise and having won the Medal Race they slipped into second. 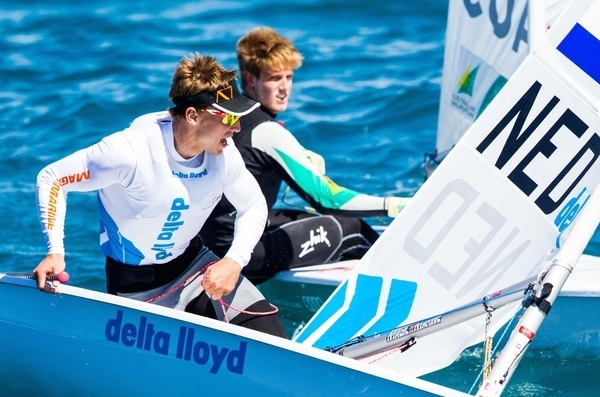 ISAF Rolex World Sailor of the Year Mat Belcher and Will Ryan (AUS) finished fifth in the Medal Race and whilst they end tied on 72 points with the Swedes they take bronze on of count back. 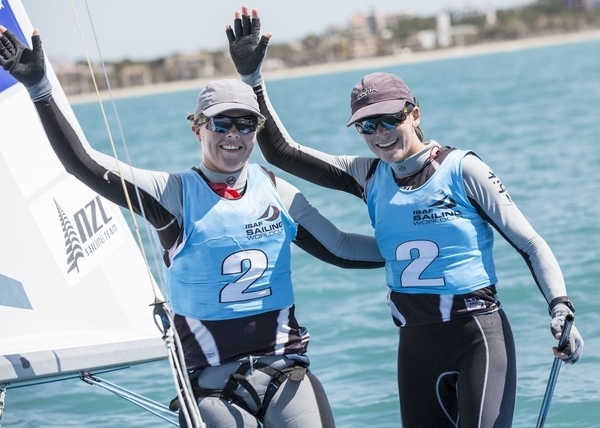 Female ISAF Rolex World Sailors of the Year Jo Aleh and Polly Powrie (NZL) won the Women’s 470 Medal Race and with it gold as they made it three consecutive 200-point regatta wins in a row. 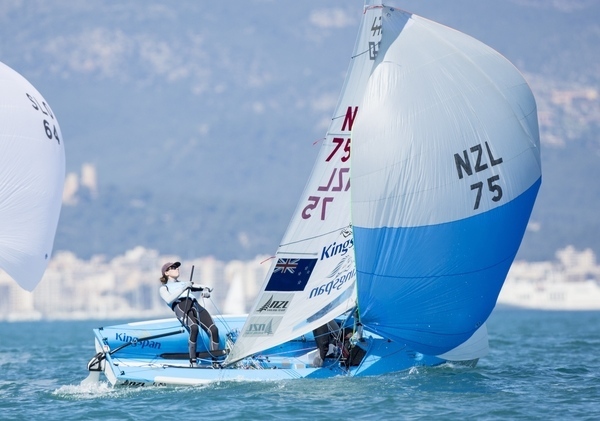 The Kiwis who became World Champions in July 2013, took top spot at ISAF Sailing World Cup Qingdao and have added Mallorca honours to their list. “It was a pretty stressful medal race, it went well for us but it was pretty hard work. The French were seven points clear of us and we knew we had to get three points between us to beat them. We stayed really close and came out of the start better. From there we just tried to sail the race, get away and get boats in between and we just managed to get enough boats in," Aleh said. France’s Camille Lecointre and Hélène Defrance had held the lead in the Women’s 470 for the large part of the week but came undone on the final day as a sixth knocked them off gold medal position. They were made to settle for silver whilst bronze went to Hannah Mills and Saskia Clark (GBR). 2013 49er World Champions Peter Burling and Blair Tuke (NZL) came into the final day with a healthy lead in the 49er. They maintained their consistency to pick up a deserved gold. With 30 points from three single point races on the cards, anything was possible and even though they came into the final day with a 21 point lead, Burling and Tuke could have been overthrown. 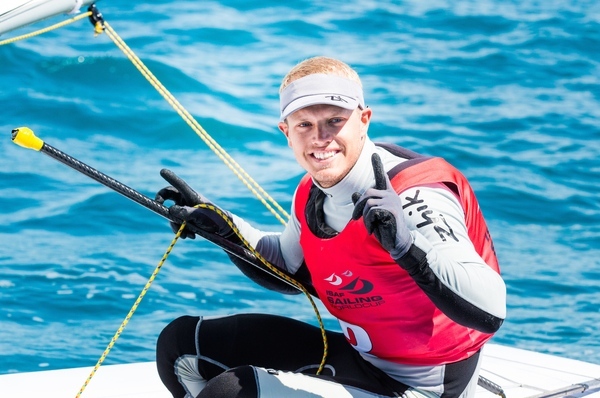 There was no change in the remaining podium spots as Jonas Warrer and Peter Lang (DEN) added silver to their ISAF Sailing World Cup Miami gold whilst Dylan Fletcher and Alain Sign (GBR) won bronze. Brazil’s Martine Grael and Kahena Kunze maintained control in the 49erFX to take gold on the final day of racing. With three single point quick fire races on the 49erFX race course anything was possible. The Brazilians raced steady and in three races they recorded a 5-3-7 to finish seven points clear of Ida Marie Baad Nielsen and Marie Thusgaard Olsen (DEN) in silver medal position. Charlotte Dobson and Sophie Ainsworth (GBR) picked up bronze. Great Britain’s Giles Scott found the going tough in the Finn Medal Race as he came through in eighth. Fortunately for the Brit he had a solid advantage heading into the final day and picked up gold. “The start was particularly good for me and the first beat,” said Scott. “I managed to get Thomas [Le Breton] where I needed him down the wrong end of the line and got on top of him up the first beat and covered him all the way to put him in last. Le Breton finished eight seconds ahead of Scott which was not enough for him to overthrow the Briton. Le Breton’s compatriot and London 2012 bronze medallist Jonathan Lobert ended up in third. The Medal Race bullet went to Andrew Wills (GBR) who finished in fourth overall. Having fought hard for valuable points all week Pierre Le Coq (FRA) picked up a deserved victory in the Men’s RS:X.
Kokkalanis was devastatingly quick on the final downwind as he used every last ounce of strength he had left. Punching his sail to the sound of jubilant admirers he moved up from fifth to second and was thrilled with how things went on the final day, “It was one of the most intense races I’ve had because yesterday I had two really bad races. I came into the Medal Race disappointed. On the downwind I had to give it all and I managed to catch planing so that pushed me into first place and into second overall. Bronze went the way of France’s Louis Giard who finished the Medal Race in third. 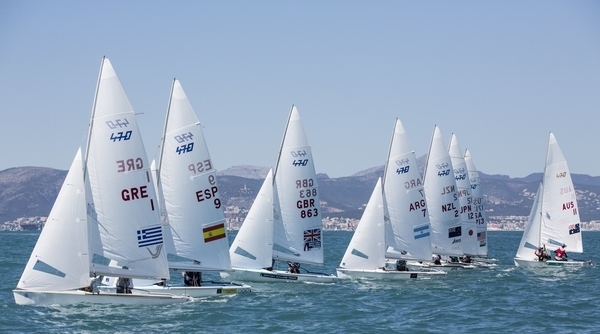 ISAF Sailing World Cup Mallorca acted as the French Men’s RS:X qualifier for the Aquece Rio - International Sailing Regatta 2014. The two spots available went to Le Coq and Louis Giard (FRA). Charline Picon (FRA) came into the Women’s RS:X Medal Race with an unassailable 42 point lead. With gold wrapped up the pressure was off the French sailor and she enjoyed the last race of the regatta, coming in third. The fight for the remaining podium spots was on with any one of Lilian De Geus (NED), Blanca Manchon (ESP), Bryony Shaw (GBR) and Flavia Tartaglini (ITA) in with a shout of the medals. De Geus was the leading sailor of the four going into the Medal Race and managed to hold on to second overall. 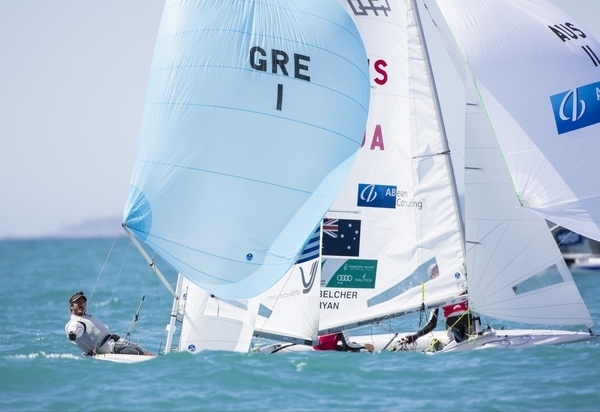 The Dutch sailor said, “It was a nice battle with Blanca and I managed to stay in second place so I am very happy.” Manchon narrowly finished behind De Geus with bronze going her way. 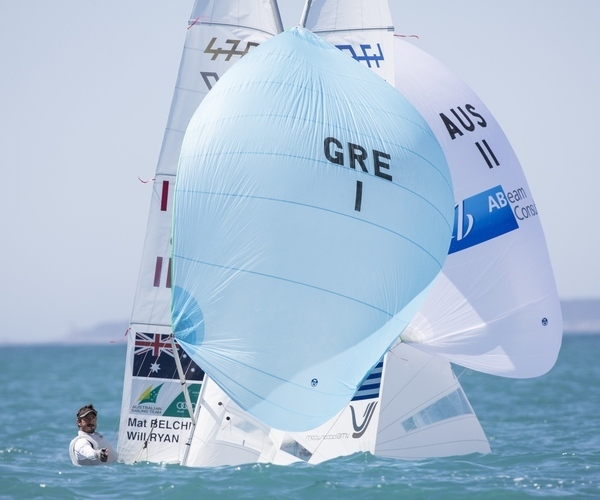 Billy Besson and Marie Riou went into the Nacra 17 Medal Race with an unassailable 22 point lead and the gold medal sewn up. 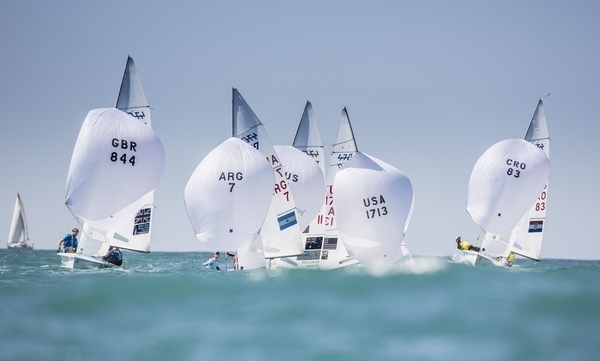 ISAF Sailing World Cup Miami gold medallists Vittorio Bissaro and Silvia Sicouri (ITA) added a World Cup silver to their collection having finished in fifth. The heat was on for the remaining podium spot. Darren Bundock and Nina Curtis (AUS) did exactly what they needed to do to take bronze and kept the chasing pack at bay. A fourth in the Medal Race meant that they got the job done to walk away with a medal. 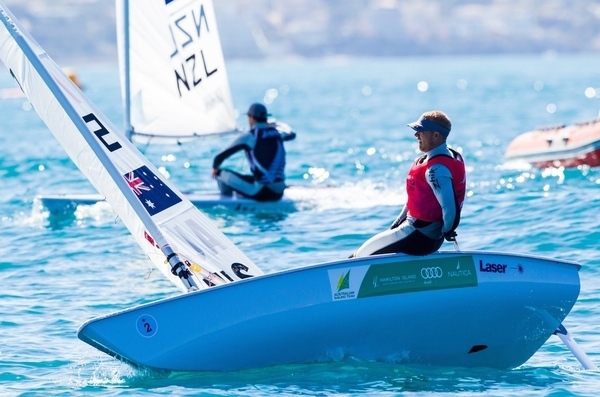 Tom Burton (AUS) led the Laser Medal Race from start to finish as he jumped up the leader board to emphatically claim gold. 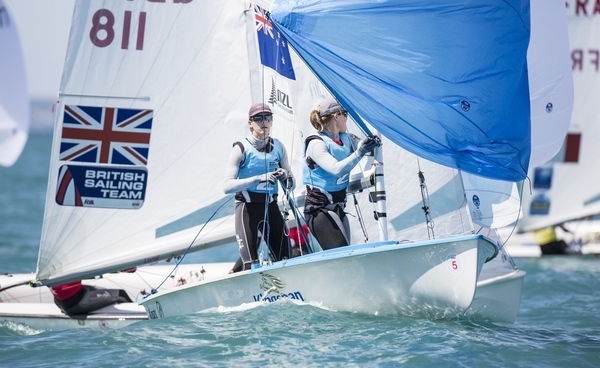 The ISAF Sailing World Cup Melbourne winner ventured into the final day third overall and sailed the Medal Race with intent from the word go. Sailing out in front of the chasing pack with clean wind in his sail, the Australian made amends for losing gold on the final day of the 2013 edition. “My goal coming here was to win. Two years ago I came third and last year I came second and I wanted to keep stepping it up. I was really disappointed to not win here last year with the points I had and I’m really stoked to win it," Burton said. Jean Baptiste Bernaz (FRA) finished the Medal Race in fourth and ended up just a single point behind Burton. Overnight leader Tonci Stipanovic (CRO) fell to third following a ninth. The Netherlands’ Marit Bouwmeester had gold in the bag going into the Laser Radial Medal Race and sailed with ease on the final day. She is the overall winner of the Trofeo Princesa Sofía. Evi Van Acker (BEL) engaged with Tuula Tenkanen (FIN) as she set her sights on overthrowing the Finnish sailor from silver medal spot. It didn’t turn out so well for the Belgian as she finished last in the Medal Race and out of the medal spots. Tenkanen had plenty of points to play with and took a ninth. Great Britain’s Chloe Martin took full advantage and picked up her first World Cup medal. 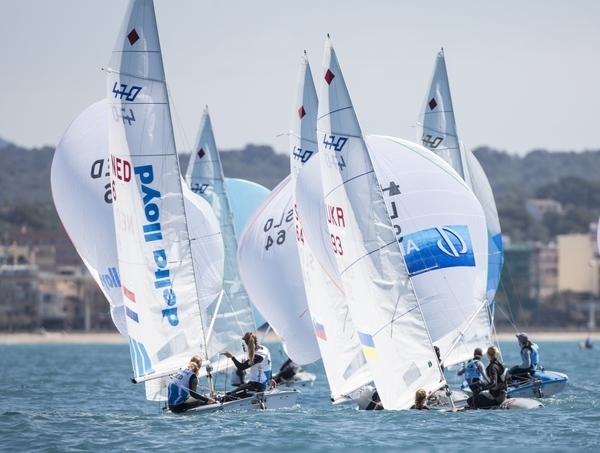 Attention now turns to the final ISAF Sailing World Cup regatta of the 2013-2014 in Hyeres, France from 19-26 April 2014.